Weaver's popular 6-Hole Tactical Rings just got the Picatinny treatment. These new rings feature the same six screws for max security and clamping pressure but get serious upgrades for LE and military use. Weaver&apos;s popular 6-Hole Tactical Rings just got the Picatinny treatment. These new rings feature the same six screws for max security and clamping pressure but get serious upgrades for LE and military use. 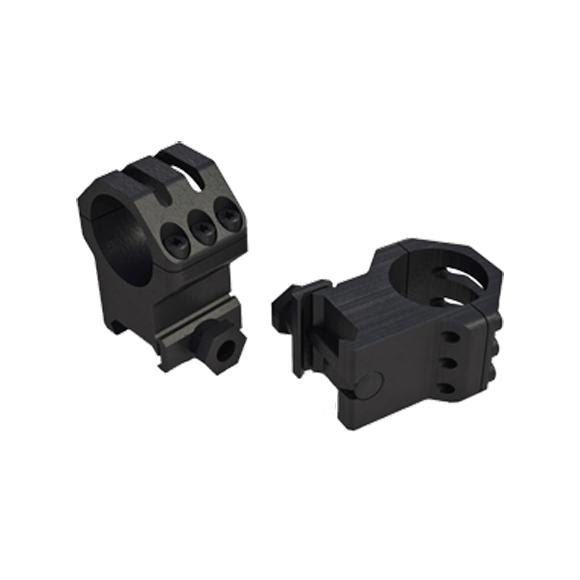 An improved Picatinny crossbolt design (from Weaver to Picatinny spec), Type III hard coat anodized finish, no strip/slip Torx screws and an increased number of height options make these new 6-hole rings the go-to mounts for all Tactical Precision rifles.